In Boston, 1926, Jenny Wren Lockhart was the one time apprentice of Harry Houdini. 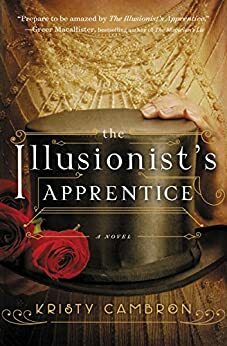 She learned and holds secrets about the greatest illusionist in the world. However, someone wants to silence her before she can share them. Jenny is a famous female vaudevillian who is notorious for her wealth and her gentleman attire. In the months following the Great Houdini's death, Wren is drawn into a web of deceit and betrayal when an illusion goes terribly wrong. She is in a race against to the clock to find out who is trying to defame Houdini and her. Who can Wren trust? Who is behind the murder? The novel as a great and interested read. It had many interesting plots and twists, that I didn't see coming. However, I felt the writing was a bit lacking and the story was drawn out. If maybe, the story was shorten by a 40-50 pages, it would have been better. A good read but I would very unlikely re-read this book.